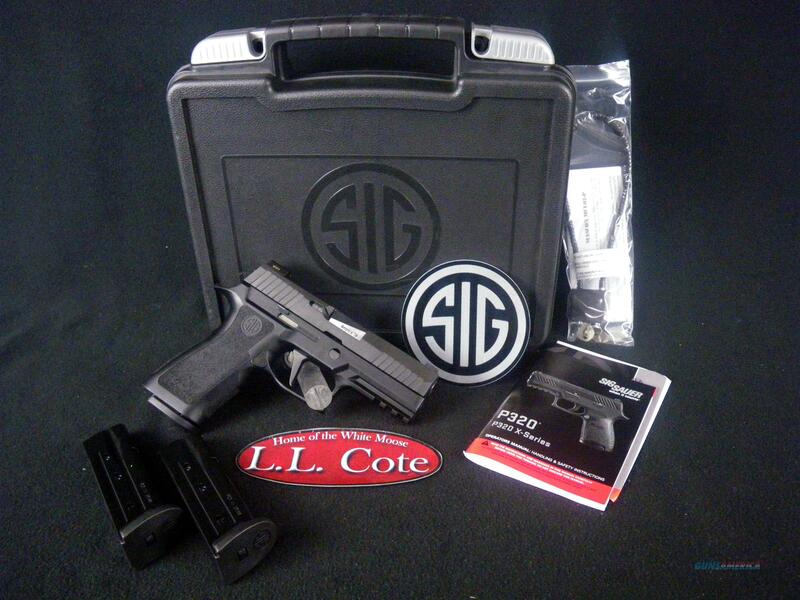 Description: You are bidding on a Sig Sauer P320 X-Carry in 9mm with a 3.9" barrel. Everything about the P320 X-Series is designed to give a fantastic shooting experience. Now, it's available in Carry size. The P320 X-Series features a modular polymer X-series grip and extended magazine well that adds speed and flexibility to everyday carry capabilities. It also features an extended beavertail and high undercut trigger guard to promote a higher grip and improved recoil control. Enhanced slide serrations and lightening cuts keep the slide weight light and manageable. This striker-fired pistol comes equipped with an X-Ray front sight with Night Sight rear plate. The P320 X-Carry is fully compatible with the ROMEO1 optic and comes with three (3) 17-rd magazines. For those that prefer the look and feel of the P320 X-Series but desire the functionality of a slightly shorter slide, the P320 X-Carry hits all the right spots. Displayed images are stock photos. Any questions please feel free to ask (our phone number is in the additional information tab above).